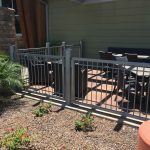 DCS Industries, LLC is committed to bringing you the best in wrought iron fencing products providing privacy, security and safety. 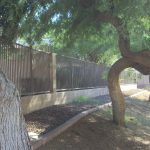 DCS Industries, LLC provides security and perimeter fencing to protect residential properties. 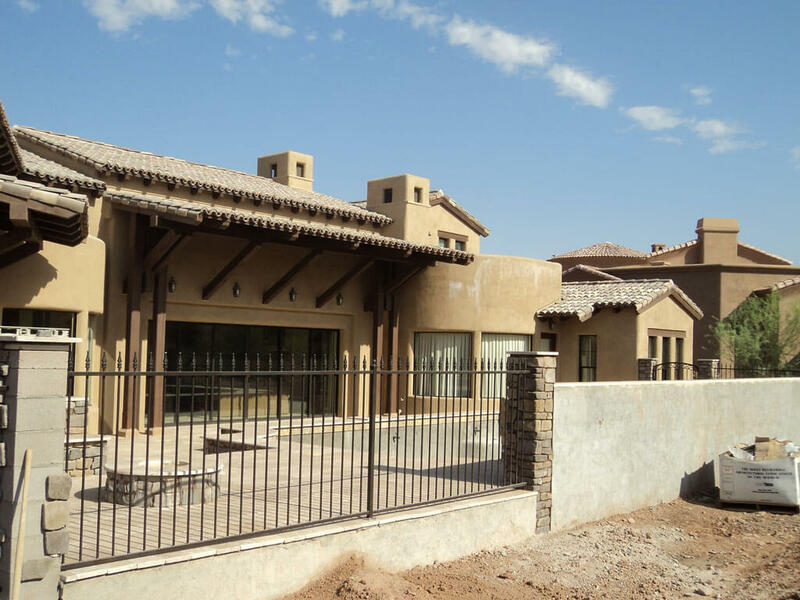 We make quality durable, beautiful pieces that coordinate and accentuate the style of any property. DCS Industries, LLC prides itself in an unsurpassed manufacturing process that begins with our custom manufacturing. 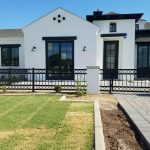 DCS Industries, LLC has a custom metal manufacturing facility in Phoenix, Arizona where we have developed a process that produces the highest quality in metal fabrication. 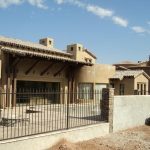 DCS Industries, LLC welds all fencing, gates, and custom iron works utilizing pre-fabricated jigs to ensure quality is maintained throughout. 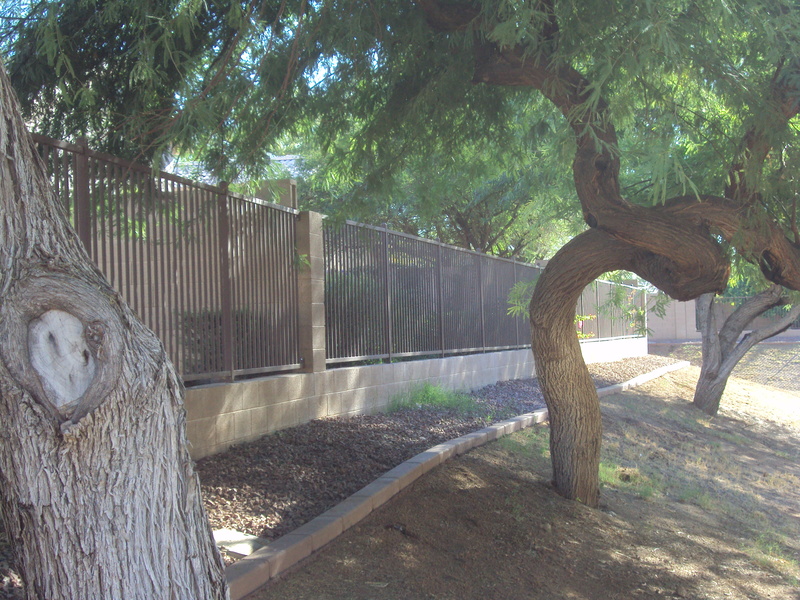 We start our process with premium grade steel. 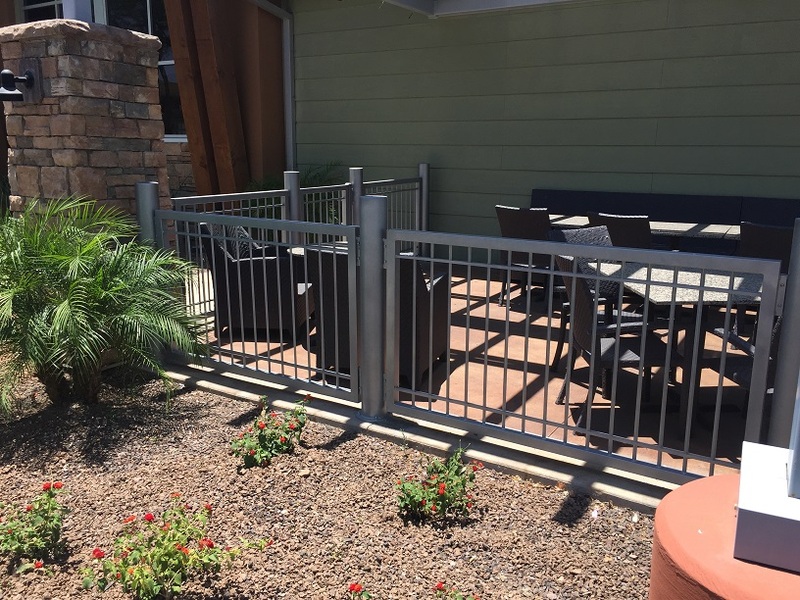 Our fabricators inspect the steel to meet all DCS Industries, LLC standards. The steel is then cut to size per order. 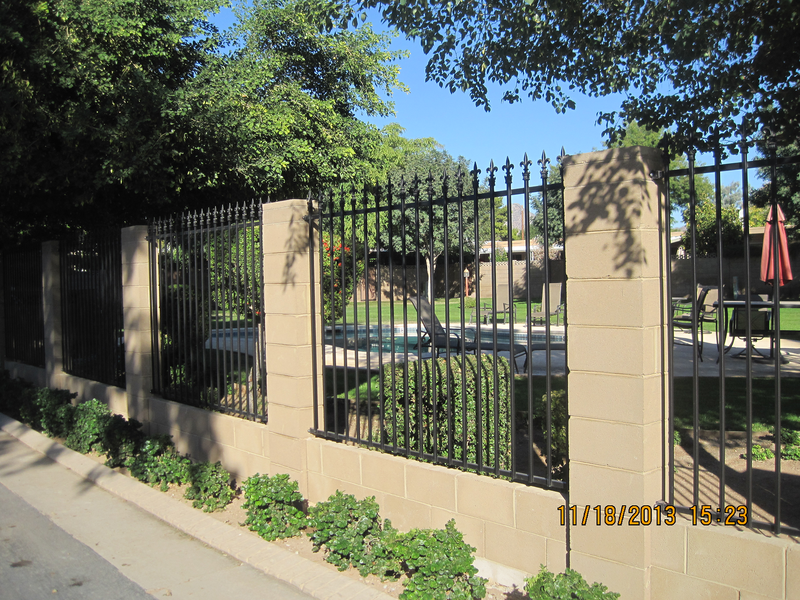 DCS Industries, LLC welds all fencing, gates, custom iron works utilizing pre-fabricated jigs to ensure quality is maintained throughout. 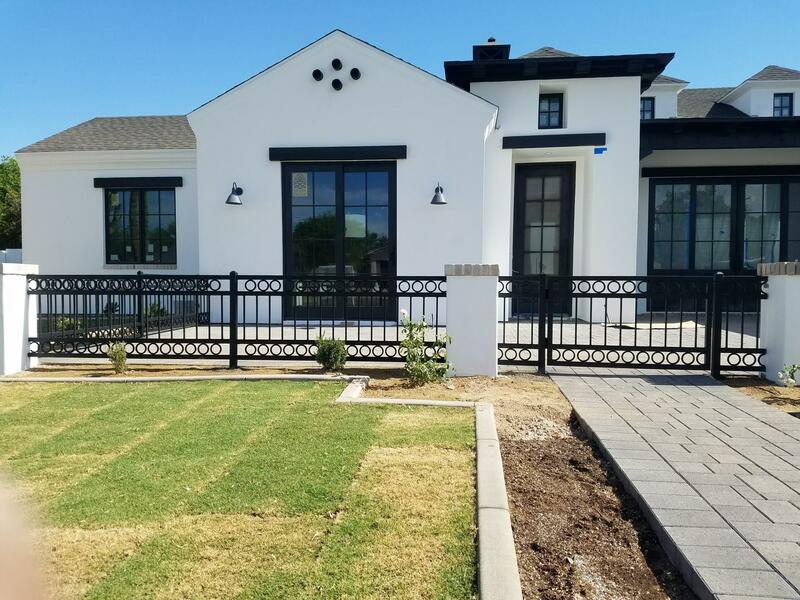 We work hard to match the design and feel of your commercial property with options like customized curving, powder coating, or electrostatic painting for high quality finishes. 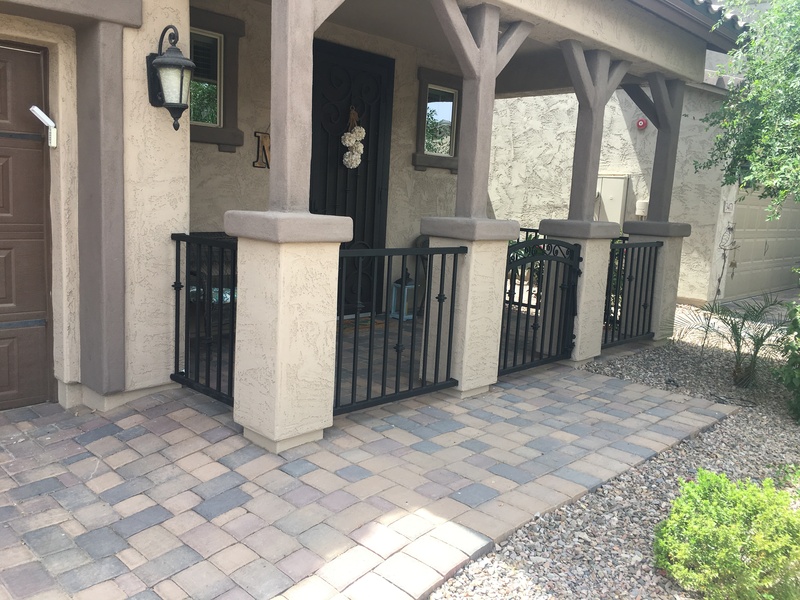 Only the highest-grade hardware and accessories are used on every wrought iron piece we build. 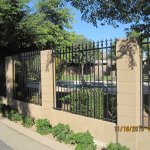 All pieces are manufactured locally at our facility in Phoenix. 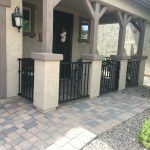 Our DCS technicians specialize in, but are not limited to, refinishing old wrought iron or aluminum fencing, furniture, railings and gate repair.